Whether or not instructions issued in terms of Section 54(1) of the Mine Health and Safety Act, No. 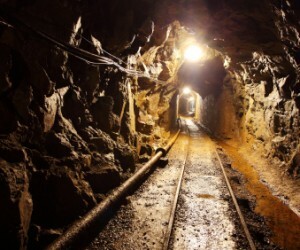 29 of 1996 ("the MHSA") have achieved the stated outcome, namely improvement of health and safety at mines, has been the subject of extensive debate amongst stakeholders in the mining industry. The range of views that have been expressed include the view that instructions issued in terms of Section 54(1)(a) of the MHSA ("the Section 54 Instructions") have had a positive impact on health and safety at mines, on the one side of the spectrum, to criticism on the other, of the disruption that Section 54 Instructions cause, while not necessarily improving health and safety. These criticisms are often however couched within the context of an acknowledgement that there must be continuous improvement of health and safety at mines, but that there are various mechanisms available to the Mine Health and Safety Inspectorate ("MHSI"), which may be better suited, in particular circumstances, to achieving the objective of improved health and safety, such as orders and instructions in terms of Section 55 of the MHSA which do not include closure of the mines, but which require the mine owners to take specified steps within defined time periods. The criticism has been aimed, primarily, at instructions in terms of Section 54(1)(a) of the MHSA to stop entire operations at a mine, rather than focusing on a particular workplace, where an occurrence, practice or condition endangers or may endanger the health and safety of persons in that workplace. Further criticism has been levelled against the lack of guidelines relating to the circumstances under which Section 54 Instructions may be issued and, if issued, in relation to the scope (the whole or a part of a mine). Following the setting aside by the Labour Court of the Enforcement Guidelines, previously issued by the MHSI, the MHSI relies on the interpretation and application of Section 54 of the MHSA by the relevant Inspectors, which has, unfortunately, been inconsistent, making it extremely difficult for the stakeholders at the mines (the employers, mine management, and the trade unions) to efficiently and proactively address and engage with the MHSI in the circumstances where the MHSI intends to, or actually issues a Section 54 Instruction. Employers have, historically, attempted to address these uncertainties through on-going, positive engagement with the MHSI, and, in limited circumstances, by approaching the courts. The courts have provided useful guidance regarding what constitutes a mine (the geographic scope of application of the MHSA), and the circumstances under which the MHSI may issue a Section 54 Instruction, including the judgment in Bert's Bricks (Pty) Ltd and Anther v Inspector of mines, Northwest Region and Others (2012) ZAPPHC (9 February 2012) ("the Bert's Bricks Judgment"). In relation to what constitutes a "mine" the court, aligned with previous judgments, held that the manufacture of bricks on a property, in proximity to the property where clay was being extracted, did not constitute a "mine", and that the MHSA, did not apply to the area where the bricks were being manufactured. With regard to the circumstances under which a Section 54 Instruction could be issued, the court held that Section 54(1)(a) and (b) of the MHSA meant that (a) objectively, a state of affairs must exist which would lead a reasonable person to believe that the circumstances may endanger the health and safety of any person at the mine, and (b) the Inspector may only give an instruction which is necessary to protect the health or safety of that person. The court concluded, on the circumstances prevailing in the matter, that there were no objective facts which could lead a reasonable person to believe that damage caused to a single trackless mobile machine (forklift) necessitated the suspension of the operation of all trackless mobile machines. The court was critical of the MHSI for not making use of the various powers and functions set out in Section 50 of the MHSA, and for not engaging, more meaningfully, with the stakeholders. The court also expressed the view that the order / instruction, to stop all trackless mobile machines (including at the brick-making facility) was out of all proportion to the danger that was observed by the Inspector that conducted the inspection at the premises. Until recently, the Bert's Bricks Judgment was relied upon as a primary sources of guidance for the circumstances under which a Section 54 Instruction could and should be issued. On 4 November 2016 the Labour Court handed down its judgment (unreported Case No. J2459/16) in the matter between AngloGold Ashanti Limited, the acting Chief Inspector, the relevant Principal Inspector, and the Inspector that issued the Section 54 Instruction ("the AngloGold Ashanti Judgment), in favour of AngloGold Ashanti. The relevant background, for present purposes is that on 17 October 2016, an Inspector conducted an inspection on Level 44 of Section 12 of AngloGold Ashanti's Kopanang Mine, situated in the district of Orkney, in the Northwest Province. The area where the inspection was conducted constitutes a small part of the overall mining operations at the mine. A series of six instructions were issued in terms of Section 54 of the MHSA. The first two instructions prohibited the use of explosives at the entire mine, and all underground tramming operations. The effect was that the entire mine was closed from 17 October 2016 at a significant loss. On 18 October 2016 AngloGold Ashanti made representations to the Principal Inspector in an attempt to set aside and/or amend certain of the instructions. The representations were supported by the trade unions (also cited as parties - National Union of Mineworkers, Solidarity, and the Association of Mineworkers and Construction Union to the application by AngloGold Ashanti). The Principal Inspector refused to amend the Section 54 Instruction, and on 19 October 2016, AngloGold Ashanti appealed to the Chief Inspector against the instructions issued by the relevant Inspector and Principal Inspector, respectively. On 20 October 2016, AngloGold Ashanti was advised that the Chief Inspector required time to consider the appeal. On 21 October 2016, AngloGold Ashanti filed an application to the Labour Court, for an interim order, suspending the operation of the Section 54 Instruction. On the same day, 21 October 2016, the Chief Inspector dismissed AngloGold Ashanti's appeal and confirmed the instructions issued by the Principal Inspector and relevant Inspector, respectively. The Labour Court granted AngloGold Ashanti an interim order, and, subsequently, in its judgment dated 4 November 2016, a final order suspending the Section 54 Instruction. The Labour Court was required to address a number of preliminary points raised by the Respondents (primarily on behalf of the Chief Inspector and Principal Inspector). One of these preliminary points was that when AngloGold Ashanti brought the application for an order suspending the Section 54 Instruction, AngloGold Ashanti had already complied with the instructions of the Principal Inspector and the relevant Inspector involved. The Labour Court found, in relation to this preliminary point, that because AngloGold Ashanti was still in the process of carrying out certain of the instructions, this preliminary point, did not prevent AngloGold Ashanti from bringing the application. Although this point was determined in favour of AngloGold Ashanti (because the instruction had not fully been complied with at the time that the application was made), it is our view that a mine that has fully complied with an instruction from an Inspector, cannot thereafter seek the suspension of the instruction by the Labour Court. It was held in the Bert's Bricks Judgment that once an instruction has been complied with, it falls away. With regard to the merits, the court found that the workplace (Level 44) is, relatively speaking, very small in comparison to the entire mining operations, and that only a small percentage of the entire workforce, was employed on Level 44. The court found further that conditions on Level 44 were not automatically representative of the entire mine, and no specific circumstances existed on Level 44 which rendered the whole mine unsafe, or constituted circumstances upon which the relevant Inspector could rely, to issue instructions in respect of the entire mine. 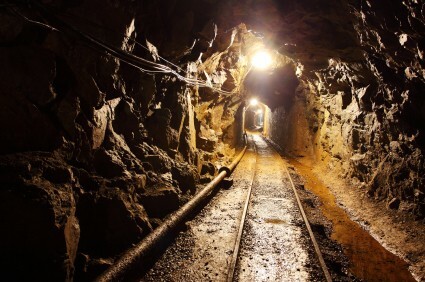 The MHSI must be able to refer to specific, objective facts and circumstances, that render the whole mining operation unsafe, before issuing a Section 54 Instruction which applies to the entire mine. It is hoped that the AngloGold Ashanti Judgement will be regarded as useful guidance to all stakeholders in the industry, going forward. It is important for all stakeholders to carefully consider the judgment and to engage, meaningfully, to ensure the ultimate objective, that of zero harm.